Let me get this straight............you EDITED that response.........and you still spelled "bogglingly" wrong? We got some doozies on this board. Lol. I actually edited from your spelling to my spelling, because it felt wrong. I’m not sure it’s even a word. But i will trade the occasional typo for the fundamental ability to understand business and sport structures. Or really even a basic level of common sense. I simply joined in because I fear you are cruising past "beaten horse" territory and closing in on a crusade. Anytime anyone posts anything positive on the Pegula's, Beane, or McD- you run in with your wet blanket. Any message board devoid of dissent would be incredibly boring. There is plenty of discussion about all the great things Josh is doing this offseason. There is plenty of discussion about the Bills imminent emergence. I think Badol brings quite a bit of knowledge to the table and clearly won't believe it until he see's it. Not quite sure why someone else's opinion is so unnerving. Oh it's not just my spelling. It's THE spelling. When one is trying to prove their superior intellect with a one sentence reply........it's common sense that you be certain to use the correct spellings of those choice words. Does google boggle your common sense kinda' mind too? 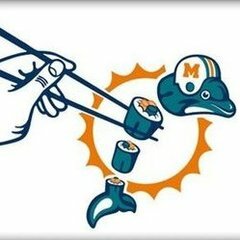 They sucked until the 2017 season. It's a whole new era now. But they've ACTUALLY still sucked. 15-17 and some of the worst blowouts/performances in team history. Oh they've messed around plenty with their sports ops. They are on their 6th head coach already on the hockey end...........just throwing sh*t at the wall and seeing if it sticks is "messing around". Being willing to spend whatever it takes in pursuit of getting it right is great but ask Dan Snyder how that has worked out for him. You quickly go from the owner who wants to win more than anything to the owner who nobody wants to work for. Not being impressed with this facility once again shows you're too invested in yourself. You mess around, the Pegula's do not. Who cares about the visiting team. The day you start catering to their needs in your house, you may as well forfeit the game. Do the bare minimum the NFL requires for the visitors and that's it. The spelling guy on the message board is always the worst. I’m sure it strikes you as clever, but on a message board, it looks petty and reeks of insecurity. In Eifert's case, it's him assuming that "the perception is the reality". So if he sees a crappy visitors locker room, he assumes the rest of the facilities are as well. Most players probably don't care about the visiting locker rooms but I feel like he is an outlier. And I honestly don't care either about the visiting locker rooms but it seems to make some players even question visiting a team to sign with. 13 combined full seasons of NFL/NHL ownership and just once qualified for the playoffs........otherwise almostly entirely last or second-to-last finishes in their respective divisions.......it's not that they haven't won titles it's that they haven't ever been in contention for one. Nobody says they aren't trying..........but as a product whose merit is judged almost entirely on wins and losses............theirs are fair game for criticism for the absence of success. 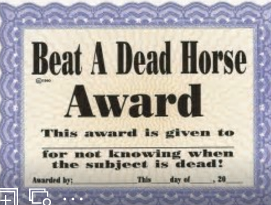 Sometimes it feels like I am arguing with a bunch of people who don't like the competitive nature of sports............like a bunch of soccer mom's that want to give out participation trophies before the season even starts and then hope for the best. Do they have pemf/infrared/ion mats at the facility? Well OK........but it's not like Buffalo fans have to look far at the actual impact of such peripheral "value adds". The Pegs spent a whole lot more $$$ on Harbor Center in an attempt to turn downtown Buffalo into a hockey Mecca...............and yet they have players leaving and excelling elsewhere and talking about how leaving that moribund Pegula organization has saved their careers. They even had a player go AWOL this season..........apparently to get drunk with visiting friends. I mean what kind of psychologist-to-player-ratio do you need in-house to field a competitive NHL hockey team 500 yards south of Canada? And at what point do you become the NFL equivalent of the University of Texas..........a place so comfortable for players that they have no edge? It all seems like a good idea to give players a super comfy workplace..........but is it actually cart-before-horse thinking? Ultimately you can spend all the cash you want on peripherals..........doesn't equate to W's if the football or hockey OP's isn't top quality and that starts with The Pegs decisions at the top. Says the boozer with twice as many posts as I. Right we need shittier facilities to keep a gritty edge to our players. I mean how can our players be at there best if they're not playing to get a job somewhere else. It’s a tired act. But he’s consistent! Do you remember when Rex was hired and was FLOORED at the quality of the Bills training facility? It's not like they had subpar facilities that were holding the team back. All I am saying is MAYBE you should improve facilities to maintain a high quality status quo.........like Alabama..........rather than to try to elevate an underachieving program........like Texas. The fact that The Pegs spent $200M and counting on Harbor Center and that team somehow actually got WORSE the past two seasons certainly suggests that throwing money at the problem hasn't worked. The lesson is don't expect or assume results...........it could even be a disincentive for many. 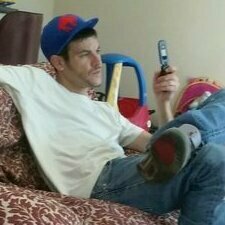 I do like the fact that McD is bringing in competition and I hope they use all 10 draft picks and that players have to FIGHT for the right to have a job with the cushy digs though...........so there is that aspect. He really is the proverbial broken clock. He's right about twice a day, but unfortunately he keeps pontificating and "teaching" us all day long. It's remarkable he has now arrived at the conclusion that the Pegulas should be criticized for making things too "comfy" for the Bills by investing in the facilities before they've won championships. I simply joined in because I fear you are cruising past "beaten horse" territory and closing in on a crusade. Anytime anyone posts anything positive on the Pegula's, Beane, or McD- you run in with your wet blanket. I think we all understand your stance. And I clearly said there is no way of knowing the direction. Just that I'm hopeful. Personally, for me, It's all about Josh Allen. I was one of the few like liked him coming out of college, and I think he's a franchise guy. If he is, is it crazy to think that we could compete as early as this year? And for years to come? Christ ... how a thread about this shiny new toy went off the rails. It was an investment that Terry and Kim Pegula committed to personally. 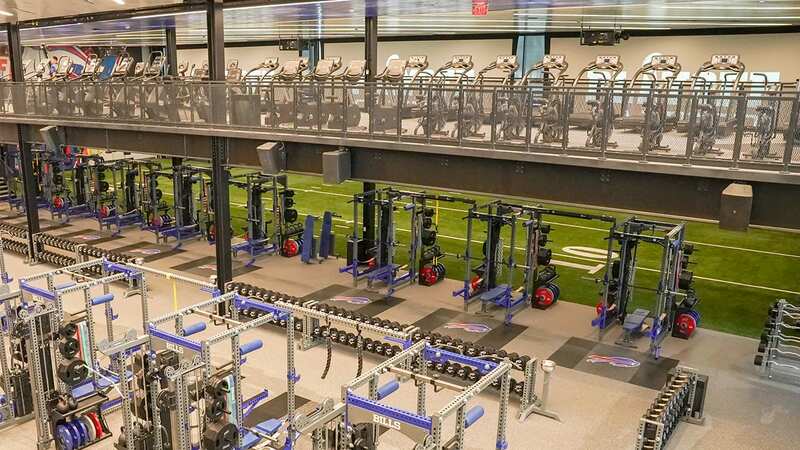 In the wake of renovations and improvements to New Era Field, a redesign of the team’s locker room, training room and grass practice field expansion over the last few years, the most recent project by the owners of the Bills may prove to be the crown jewel of the enhancements at One Bills Drive. All I am saying is that they've spent $250M on facility improvements for their two teams in recent years and yet somehow the struggle is real on the field/ice..........the Sabres are practically at ground zero again on the destination scale. As No Saint says.........some of you don't remember what success looks like.........your Lombardi trophy has an orange slice in place of the football. But you are an expert on how training facilities will suddenly equate to results? You, who haven't curled anything over 12 ounces since wine started coming in boxes? The facilities the Bills had were not substandard. It's generous of The Pegs but without some hardware at the entrance the place looks like it belongs in a shopping mall. Could've renovated the Sears at Eastern Hills and had a batting cage and a bowling alley in the same wing! Who are you arguing this with? I don't think there is anyone on here that thinks that better facilities will magically make the Bills win. It's like you're having a phantom argument with some made up dumb guy. I think a lot of people on here see this as a positive sign investing in the team is a good thing and that the facilities will help the players. But no one really thinks that facilities matter if you don't find the right guys and they don't put in enough work.